The Collécion de Autor by Gin Mare is a Mediterranean Gin: Italian basil, thyme from Greece, Turkish rosemary, citrus and Spanish olives these are the ingredients of its aroma. It combines admirably the classic hints of Gin, such as juniper, coriander and cardamom, with precious Mediterranean nuances. Excellent for cocktails and long drinks. 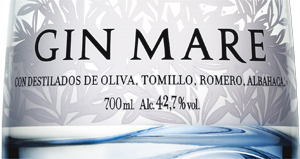 THE GIN The Collécion de Autor by Gin Mare is a Mediterranean Gin : Italian basil, thyme from Greece, Turkish rosemary, citrus and Spanish olives these are the ingredients of its aroma. It combines admirably the classic hints of Gin, such as juniper, coriander and cardamom, with precious Mediterranean nuances. Excellent for cocktails and long drinks. THE DISTILLERY Marc and Manuel Giro represent the third family generation active in the production of Gin. The two, thanks to the collaboration that has been established with the Global Premium Brands, currently produce the Gin Mare, which is distributed worldwide from Spain. Obtained by means of a discontinuous distillation process, carried out in a 250-liter Florentine alembic, the Gin Mare is born letting macerate eight different botanical components, which remain in infusion in the spirit from 24 to 48 hours. Subsequently, it is the master distiller that mixes the aromatized distillates, arriving to propose a Gin with unique and unusual organoleptic characteristics, particularly suitable for the preparation of original cocktails and tasty long drinks. The selection of botanical components is careful and accurate, so each element comes from different countries: in detail, the basil is strictly Italian, the thyme comes directly from Greece, the rosemary waves the Turkish flag, while the citrus fruits and the olives are Spanish . To all this are added the classic elements of Gin, such as juniper, coriander and cardamom, which together with the precious Mediterranean nuances, seem almost to lead the mind directly along the coasts of what has always been considered the cradle of Western civilization. This is essentially the Gin Mare "Colleción de Autor", the first authentic Mediterranean Gin, which alone is paving the way for a new generation of spirits. We are talking, in fact, of a Premium Gin, son of raw materials of the highest quality and the result of rigorous craftsmanship, where all the elements come to harmonize in a totally balanced. It is a Gin, the one produced by Marc and Manuel Giro, capable of offering a taste experience outside the traditional patterns of the Gin itself. A distillate, the Gin Mare, that starting from the aesthetics of the bottle to get to sensory experiences, gives emotions not to be missed. Tasting Color: Crystal clear and transparent. Bouquet: herbaceous notes and spicy nuances, memories of tomato leaves, rosemary, citrus and black olives. Taste: tasty, with fresh coriander and juniper. Excellent length. Marc and Manuel Giro represent the third family generation active in the production of Gin. 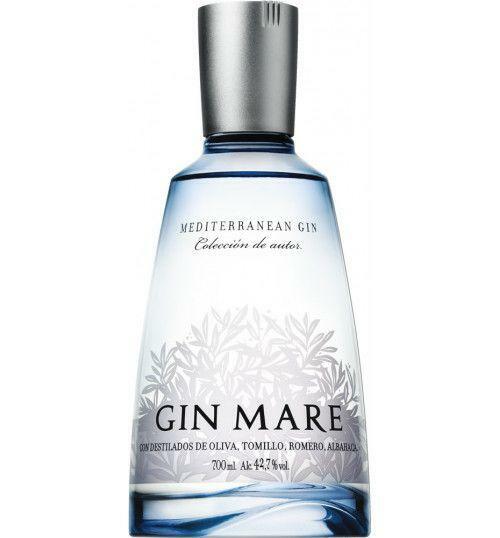 The two, thanks to the collaboration that has been established with the Global Premium Brands, currently produce the Gin Mare, which is distributed worldwide from Spain. Obtained by means of a discontinuous distillation process, carried out in a 250-liter Florentine alembic, the Gin Mare is born letting macerate eight different botanical components, which remain in infusion in the spirit from 24 to 48 hours. Subsequently, it is the master distiller that mixes the aromatized distillates, arriving to propose a Gin with unique and unusual organoleptic characteristics, particularly suitable for the preparation of original cocktails and tasty long drinks. The selection of botanical components is careful and accurate, so each element comes from different countries: in detail, the basil is strictly Italian, the thyme comes directly from Greece, the rosemary waves the Turkish flag, while the citrus fruits and the olives are Spanish . To all this are added the classic elements of Gin, such as juniper, coriander and cardamom, which together with the precious Mediterranean nuances, seem almost to lead the mind directly along the coasts of what has always been considered the cradle of Western civilization. This is essentially the Gin Mare "Colleción de Autor", the first authentic Mediterranean Gin, which alone is paving the way for a new generation of spirits. We are talking, in fact, of a Premium Gin, son of raw materials of the highest quality and the result of rigorous craftsmanship, where all the elements come to harmonize in a totally balanced. It is a Gin, the one produced by Marc and Manuel Giro, capable of offering a taste experience outside the traditional patterns of the Gin itself. A distillate, the Gin Mare, that starting from the aesthetics of the bottle to get to sensory experiences, gives emotions not to be missed.